Home Tags Posts tagged with "us ambassador to israel"
Israeli PM Benjamin Netanyahu has summoned American Ambassador Dan Shapiro amid a growing row after the US eased the passage of a UN resolution against Jewish settlements in the occupied West Bank and East Jerusalem. Benjamin Netanyahu, who is also foreign minister, took the unusual step of calling the US ambassador to his office. The move comes after Israel summoned ambassadors from countries which voted for the December 23 resolution. The reprimands came after Benjamin Netanyahu vowed to take retaliatory steps for what he called a “shameful” act by the UN. The resolution, which harshly criticized Israeli settlement activity in the occupied West Bank and East Jerusalem, passed when the US abstained instead of using its veto. Israel has accused the US, its closest ally but a frequent critic of settlements, of engineering the vote – a charge Washington has denied. PM Benjamin Netanyahu said: “From the information that we have, we have no doubt that the Obama administration initiated it, stood behind it, co-ordinated on the wording and demanded that it be passed. The UN resolution – the first since 1979 to condemn Israel over its settlement policy – said the settlements had “no legal validity” and constituted “a flagrant violation under international law and a major obstacle to the achievement of the two-state solution”. PM Benjamin Netanyahu and President Barack Obama have had a difficult relationship during President Obama’s two terms and Israel had feared that Washington would take such a measure in the final weeks of Obama’s presidency. Donald Trump tweeted that the vote was a “big loss” for Israel which “will make it much harder to negotiate peace”, vowing “we will get it done anyway”. The president-elect promised that “things will be different” at the UN after he takes office on January 20. Benjamin Netanyahu ordered his foreign ministry to summon the ambassadors of 10 countries which voted in favor of the resolution and which have embassies in Israel. The reprimand on Christmas Day, when most embassies are closed, is unusual and a sign of the seriousness with which Israel is taking the matter. In remarks on December 24, Benjamin Netanyahu said Israel would work to get the resolution rescinded, adding that allies in the US Congress and the incoming administration had promised to “fight an all-out war” against the measure. The prime minister said he had already halted Israeli funding to five UN institutions “that are especially hostile to Israel”, and warned of further steps to come. In the wake of the vote, Israel recalled its ambassadors from New Zealand and Senegal, which both put forward the resolution, and canceled planned visits to Israel by the foreign ministers of Senegal and Ukraine, which had voted for the text. 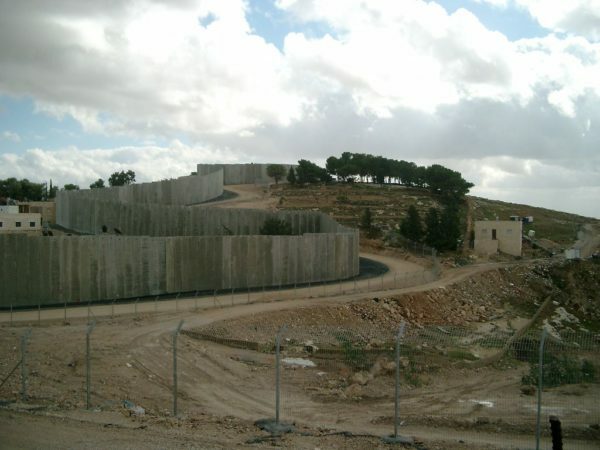 The issue of Jewish settlements is one of the most contentious between Israel and the Palestinians. More than 500,000 Jews live in about 140 settlements built since Israel’s 1967 occupation of the West Bank and East Jerusalem – land the Palestinians want for a future state. Right-winger David Friedman is Donald Trump’s choice as the next US ambassador to Israel. David Friedman is strongly critical of the long-held US goal of a two-state solution to the Israeli-Palestinian conflict. The 57-year-old lawyer also supports Jewish settlement building in the occupied West Bank, which the Obama administration considers an “obstacle to peace”. A liberal Jewish group opposed David Friedman’s nomination. Conservatives welcomed it. 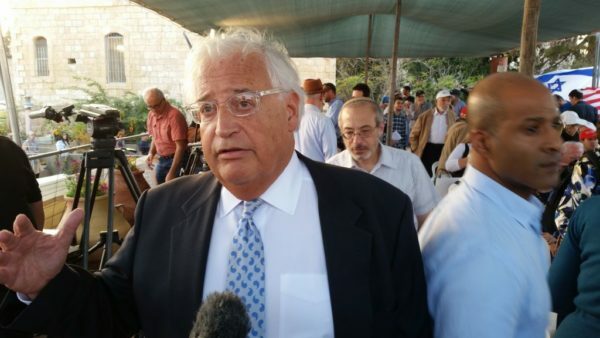 David Friedman said he looked forward to working “from the US Embassy in Israel’s eternal capital, Jerusalem”, a statement that will anger Palestinians. The UN does not recognize Jerusalem as Israel’s capital, and the US embassy has been located in Tel Aviv for decades. However, Donald Trump had promised during the presidential campaign to move it to Jerusalem, one of several overtures he made to Israel. The status of Jerusalem is one of the most contentious issues between Israel and the Palestinians. Israel occupied the West Bank and East Jerusalem in the 1967 Middle East war and considers the entire city its indivisible capital; Palestinians want East Jerusalem as the capital of a future Palestinian state. David Friedman advised the president-elect on US-Israel issues during the election campaign. About 570,000 Israelis live in more than 130 settlements built in these areas since 1967. Kapos were Jewish prisoners in Nazi camps in World War II who the SS put in charge of other inmates. They have been viewed by some as complicit in the brutal treatment of other prisoners. Conservative pro-Israel group The Zionist Organization for America welcomed the nomination, saying David Friedman had “the potential to be the greatest US ambassador to Israel ever”. In the same time, Israeli PM Benjamin Netanyahu, who has not enjoyed warm relations with President Barack Obama, has welcomed Donald Trump’s election.